If you’re intending to make the step from compact to DSLR and are after the benefits of better image quality, improved handling and faster performance, there’s an excellent selection of APS-C models to consider. 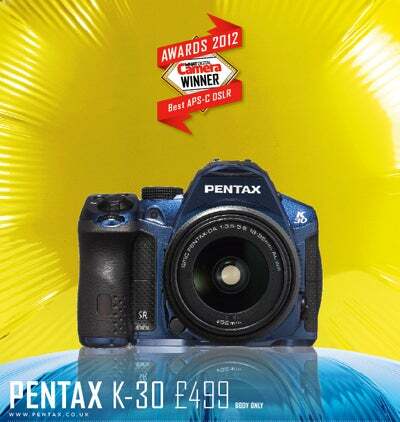 There’s one camera that stands out from the crowd and manages to tick all the right boxes, that being Pentax’s K-30. The detail the 16.3MP CMOS sensor resolves is superb. The autofocus is snappy too, it shoots rapidly at up to 6fps and the quality of the build can’t be faulted in any way. In the hand the K-30 feels every part as solid as more expensive enthusiast DSLRs. Unlike many cameras at its price point it features full weather sealing meaning you can shoot in virtually all weather conditions, and this combined with full HD video and a 3in 921k-dot display make it the best in its class. You can rest assured that you’re getting a lot of camera for your money with the K-30.